The concept is "A Gentle Shape". 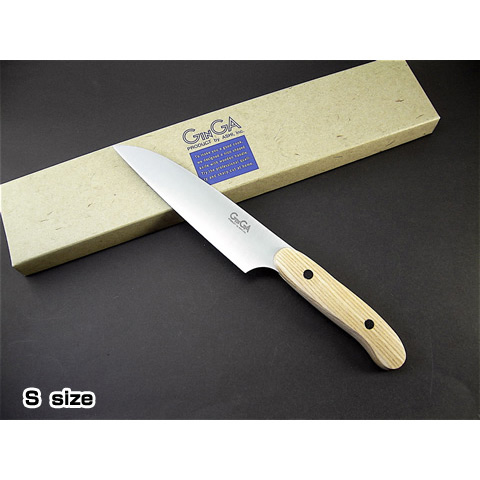 This is a knife that both parents and child can enjoy while cooking. 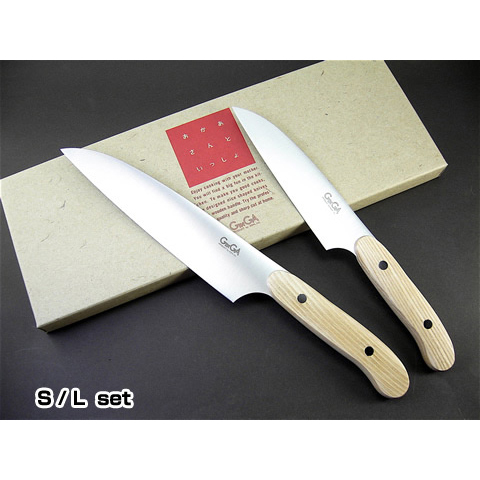 The round-shaped design helps to relieve tensions from knife usage, and it makes for a relaxed cooking time. 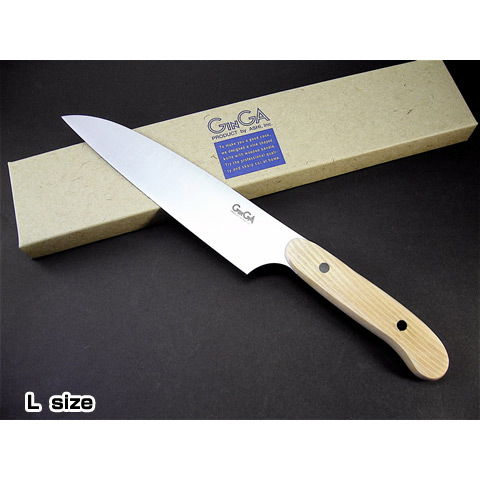 The line of the blade takes a gentle curve and is best for home cooking. The handle is made of white ash, so even the small hands of children may easily use it. •It will take 2-month for delivery. •S size is for kids but adults can use without any problem.